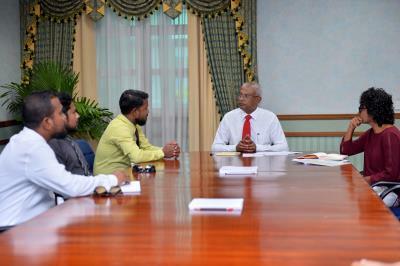 President Ibrahim Mohamed Solih has this afternoon met with members of the Rakeedhoo Council of Felidhe Atoll. 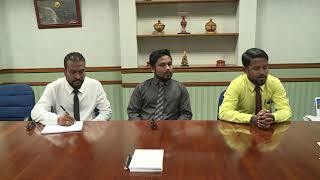 The Councilors especially noted the challenges being faced due lack of education services, health services and transportation facilities in the island. During the meeting, the President and Councilors discussed policies used by this administration to provide basic necessities to the community. Also they discussed population consolidation policies of this government. 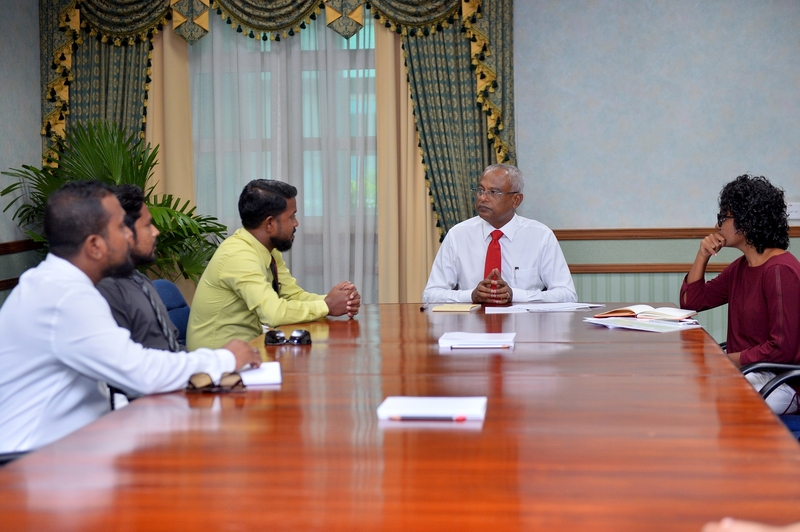 During the meeting, President Solih said that priority will be accorded to fulfilling the fundamental needs of the islands, in implementing the administration’s development plan. He also reiterated the administration’s commitment to resolve the people’s needs.